Join us for an official welcome to summer! 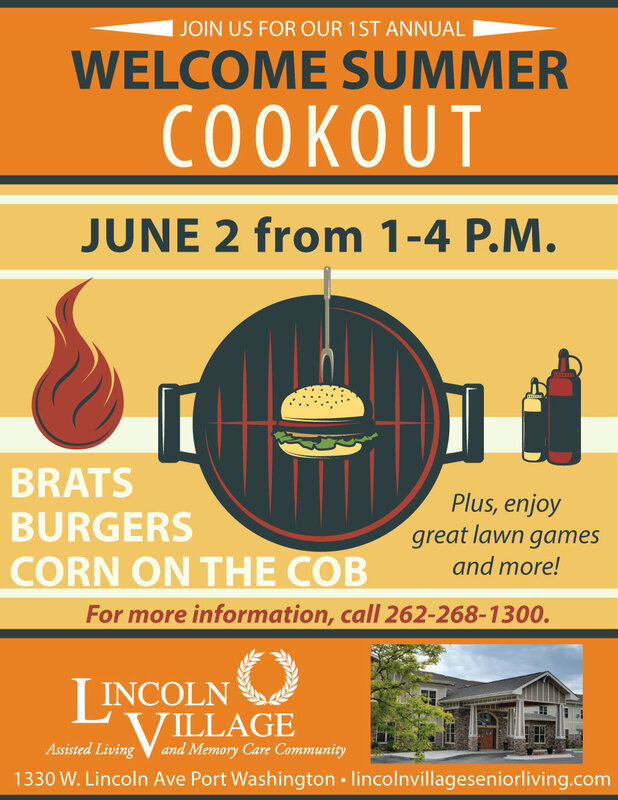 We’ll have brats, burgers and corn on the cob, plus great lawn games! 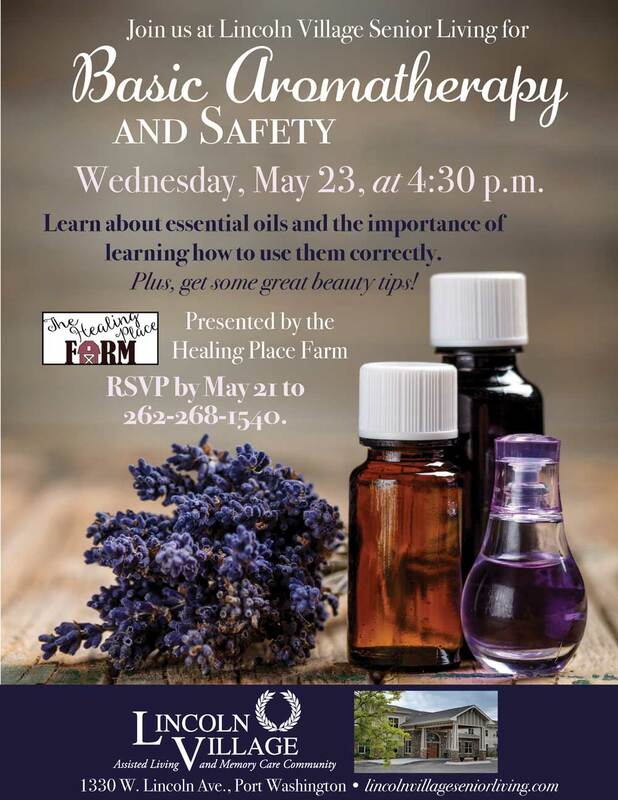 Join us on May 23 to learn about essential oils and the importance of learning how to use them correctly. Plus, get some great beauty tips! Presented by the Healing Place Farm. RSVP by May 21. 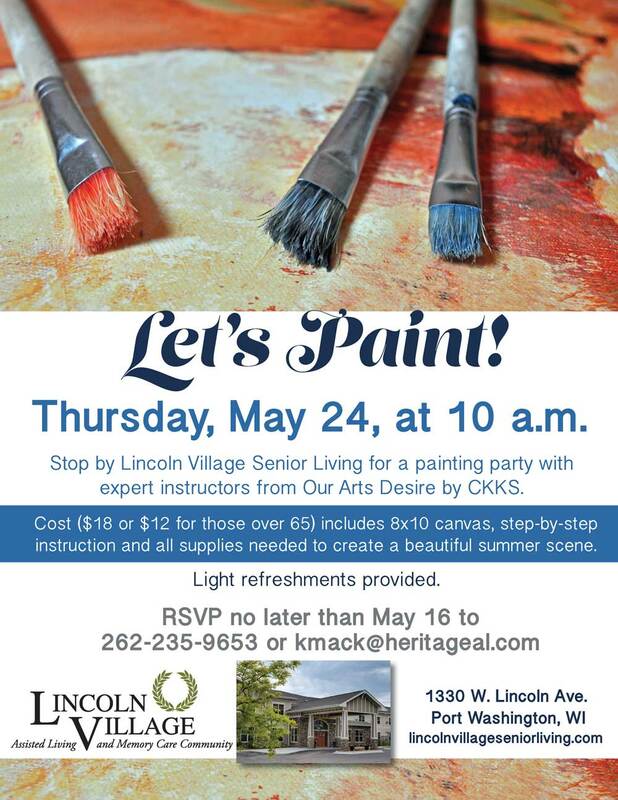 Join us on Thursday, May 24, at 10 a.m. for a painting party with expert instructors from Our Arts Desire by CKKs. The cost is $18 ($120 for seniors over 65) and includes an 8×10 canvas, step-by-step instruction and all the supplies needed to create a beautiful summer scene. Light refreshments will be provided. 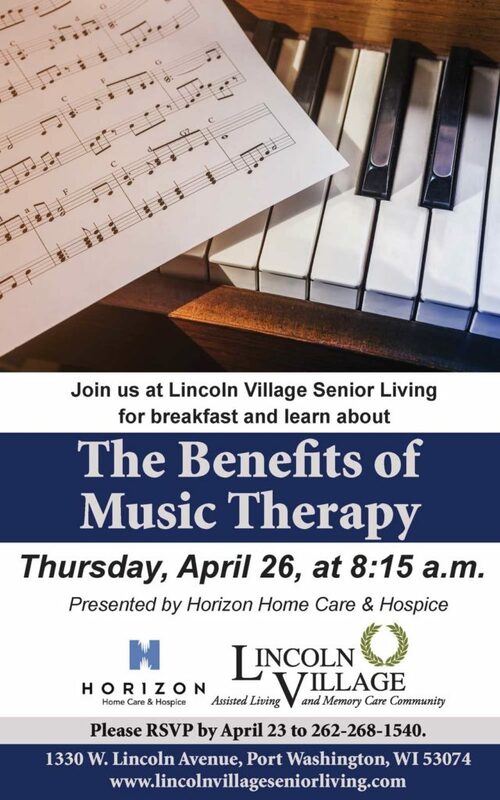 Join us at Lincoln Village Senior Living on Thursday, April 26, for breakfast and enjoy a presentation by Horizon Home Care and Hospice on the benefits of music therapy. Breakfast will begin at 8:15 with the presentation to follow.